Jinz Moss – Lost, Deported and Found in Hip Hop! It’s been quite an interesting year for UK hip hop artist Jinz Moss. After arriving in Sydney in 2013 and unleashing his ‘horrorcore flow’ on the hip hop community with his mix tape “Memoirs of a Homunculus” he fast – tracked his emcee career to whole new level after signing with local independent label Fight Music and began his extraordinary hip hop journey in Australia. On first meeting Moss, you aren’t immediately struck with hip hop’s stereotype. He has a reserved demeanour which doesn’t scream the angst and aggression often reserved for emcees, instead he channels his quiet strength in the powerful delivery of his lyrics, which flow with razor sharp quickness and hit home his verbal diatribe right where he wants it ….in your face! 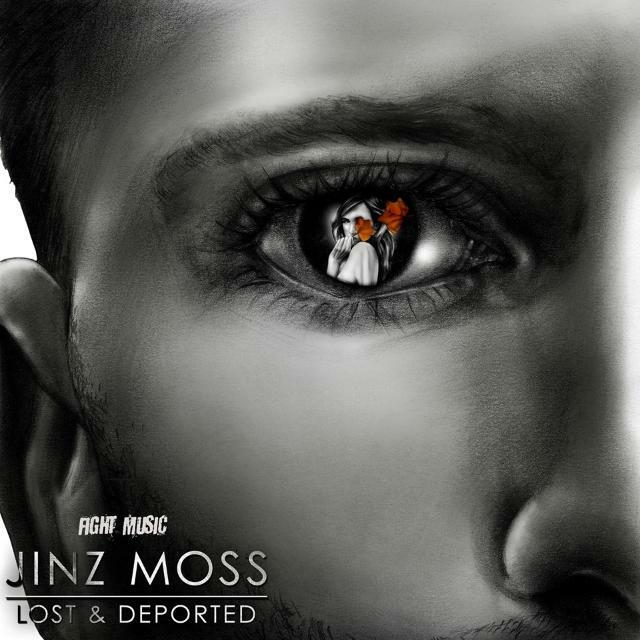 Since signing to Australian label Fight Music, Jinz, who obtained his moniker for filthy lyricism has gone on to create his current album aptly titled “Lost and Deported” and has unearthed a new, socially aware, soulful and deep seeded hip hop artist in Moss as he takes his craft to a higher level. He has gained industry respect for his intense performances as support act for numerous hip hop heavy hitters that have toured Australia like: Xhibit and P.H.Fat to name a few. From performances at a variety of bars and clubs around the city to fronting crowds at urban events such as: One Mic, Foundry and Bounce to name a few, Australia has indeed been the training ground for this unstoppable emcee. Since returning to the UK a few months ago to resume life as an Englishman in hip hop, Jinz Moss has remained steadfastly focussed and disciplined in the music he has crafted here in Australia. He refuses to let distance and environment dictate the sound and message he is cultivating through his sound, when looking at the definitive differences between the UK and Australian hip hop industry’s one would agree that Jinz Moss has certainly obtained a perfect symmetry between the two. Hitting the ground running on his solid promo grind both her and across the pond is homage to this emerging hip hop artist’s work ethic and passion for his craft. His album possesses authenticity and substance and with his collaboration with some of finest artists in Australian hip hop, Jinz Moss is well on his way to creating a sustainable, respectable and long-lasting MC career on a global level. Major congrats to you on your current EP Lost & Deported, which you released through the FIGHT MUSIC! Records label in Australia prior to returning back home to the UK. How has the EP been received and how are you finding being back on home soil? Thanks, it’s been a long enough road! Being back in England is good for me, it’s a whole new test there are a lot of talented artists here, the bar is high so means I need to up my game to even begin to integrate in to the scene here. Challenges have never been an issue for me, always just work harder to meet the mark. Tell us who Jinz Moss is, your journey so far in this game called Hip Hop and what your mission is as a continental Hip Hop artist? 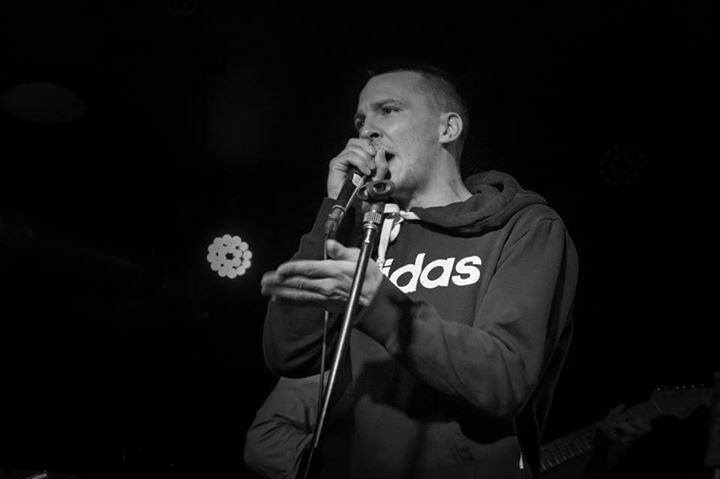 I am just a working class grafter with an interest in language and music, my aim is to keep a consistent flow of music coming out to a level that I respect for the skill level I hold at the time. As for being a continental artist, I love travelling so plan on performing and recording in several countries before my time is up. Lost & Deported is an interesting album title? What was the motivation behind that title and how would you describe the tone of the album and its message? Lost & Deported is a very literal explanation of how I felt leaving Australia. My whole musical base is there, a lot of friends and connections. I didn’t leave by choice; it was visa issues so it’s more a phrase to explain how I felt at the time it was completed rather than a metaphor for the feel of the project. The vibe of the E.P is easy listening and food for thought, nothing to violent on the ears, some stories, calm beats. I loved that kind of Hip Hop during making the E.P so is purely reflective of what I wanted to hear and how I felt. 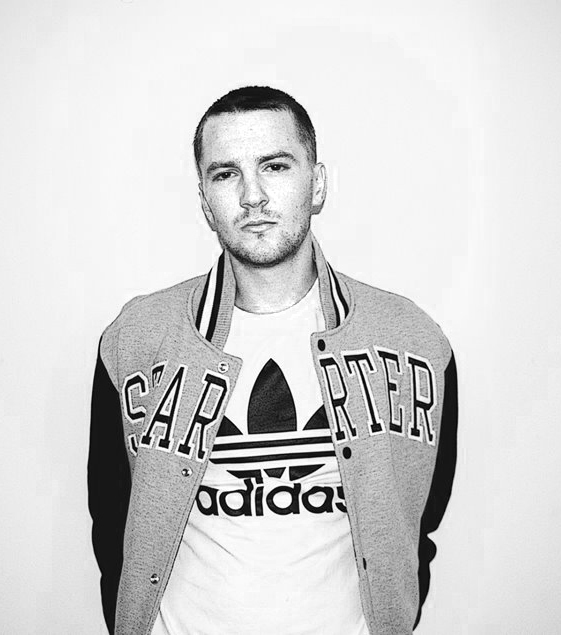 You pretty much launched your Hip Hop career in Australia in a relatively short period of time after arriving from the UK. Back in the UK now what would you say are the distinctive differences between the two Hip Hop communities and how do you feel you meander between the two? I think there is a very distinctive sound to both countries, U.K is more self-deprecating, soul samples, grimy and obscure while Oz Hip Hop, not to bundle it all in to one pigeon hole, but from what I saw, is more positive messages, good times, and generally more radio friendly. This has a domino effect on the shows and the scene. U.K shows more grimy and obscure, Oz more good times, positive vibes. I love both but very different! You represent FIGHT MUSIC! Records in Australia proudly… What was the attraction to FIGHT MUSIC! for you initially and what other projects do you have in the pipeline with the label and its crew? The label is the best thing that happened for me, the people there are working so hard to get the music to where it needs to be, even with the little facilities they have they’re doing an insane job. There is a compilation album coming out through the label featuring Sydney’s best artists, and everyone on FIGHT MUSIC! Records. I am on that one. Which should be out later this year. What is Hip Hop to you Jinz Moss and why? The albums or artists that proved to have the greatest effect on your journey in the rap game and why? I think Eminem’s first 3 albums; Infinite, Slim Shady LP and MMLP have had the most influence on me to even begin being a Hip Hop artist. So many more have influenced style and growth. Mainly U.K artists too many to mention just a couple. Your greatest motivation and what keeps you grounded in life? ← From the Bronx to Sydney, Breakdancer Will Sanchez Beats the Streets!